Explore Wrangel Island, home of polar bear and snow geese. Cruise the colorful Siberian and Alaskan coastlines during this voyage. Enjoy the comfort of the 138-passenger World Discoverer. Travel picture of Explore the Arctic. Cruising from Alaska to Siberia. Is this a cruise for 2012? What are the details? Thanks. 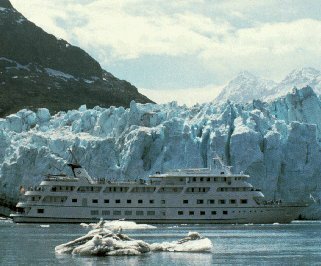 I need to have information about Cruise from Alaska to Siberia (or revert route from Siberia to Alaska) for 2014. Please send me your program.